The adorable Fiat 500 continues to be a sales superstar in various countries across the globe, which has made its Punto sibling feel a bit left out. But Fiat is determined to keep the Punto fresh and has done some tweaking to the 2012 model that debuted at the Frankfurt Motor Show. First launched in 2005 as the Grande Punto, the third-generation hatchback had began to show its age. To combat this, Fiat launched the reworked Punto Evo in 2009, but now even that update isn't selling. 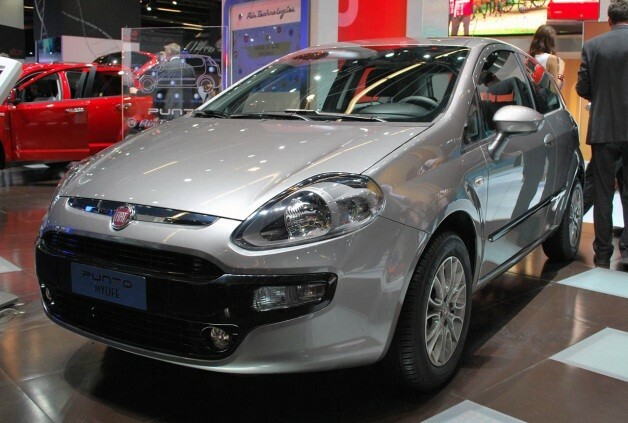 On the 2012 Punto, Fiat turned back the clock a bit by stripping the hatchback of the black plastic moldings that once surrounded the Punto's wheel arches and nixed are some of the chrome bits that made the third-gen hatch seem a bit dated. Now, the Punto is simple, stylish and nearly as fuel-efficient as hatchbacks come. The 2012 Punto gets two fuel-sipping 85-horsepower engines – one a 900-cc two-cylinder motor and the other a 1.3-liter MultiJet diesel. Fiat says MultiJet-equipped Puntos return a shocking 69 mpg on Europe's combined test cycle.